Hi! Hope you are all getting ready for a fun, relaxing weekend. I'll be running a 5k tomorrow to support a local school. I haven't ran a race in five years. I pretty much quit the races after I ran a marathon. I didn't quit running though, so tomorrow's 5k will be my regular Saturday run. Today's Fabulous Friday Find is an awesome blogger and pinner- Angie at Echoes of Laughter. 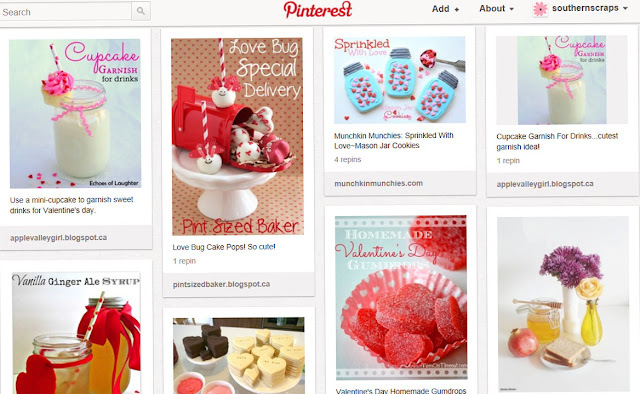 I first discovered her Valentine's Day Inspiration Board last week. It's full of eye candy. All of her boards are neat and well curated. Go take a peek at her boards. Thank you Fonda! You are so sweet! I am so glad you like my boards and I hope you have found some inspiration!